Mary McIntire Sensei began her study of aikido in 1972. Tom McIntire Sensei started a few years later in 1978. Both were students of Saotome Shihan, training with him daily when he was the Chief Instructor at Sarasota Aikikai. When Saotome Shihan left Sarasota, Tom and Mary Sensei continued to train on a daily basis with Hiroshi Ikeda Sensei. They continue to train with Saotome Shihan and Ikeda Sensei whenever possible. 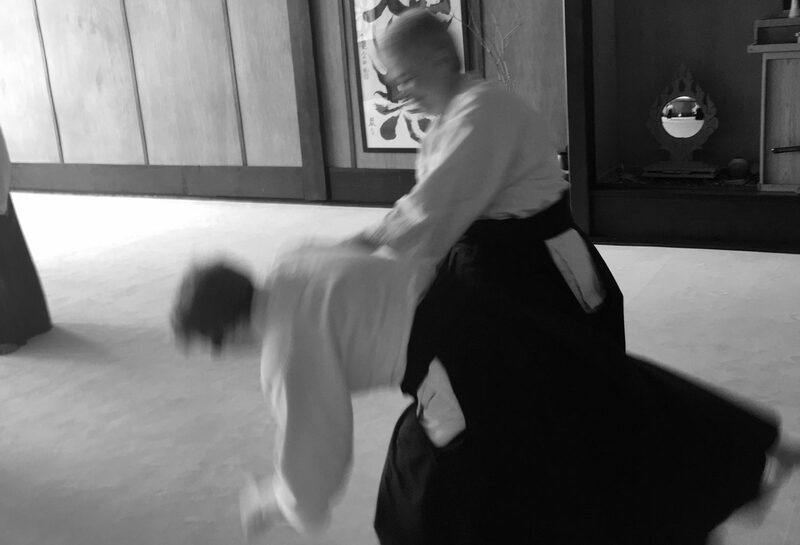 Both Tom and Mary Sensei were promoted to the rank of 6th dan (Rokudan) through Mitsuge Saotome Shihan and the Aikido World Federation (Hombu Dojo) in 2019, and both are Ueshiba Juku instructors. This honor is awarded by Mitsugi Saotome Shihan to selected senior students and instructors in recognition of their loyalty and dedication to building ASU and promoting O Sensei’s vision. It declares that they are not only true deshi (direct disciples) of Saotome Sensei and inheritors of his teachings, but are also part of O Sensei’s own school and pure lineage as only a true Uchi Deshi of O Sensei can recognize. Tom and Mary Sensei live in West Meade, and their daughter, Ali, visits often. Tom Sensei teaches trumpet lessons and plays several instruments. Mary Sensei is retired from working for the State of Tennessee and enjoys visiting with lifelong friends at Aikido seminars around the country.